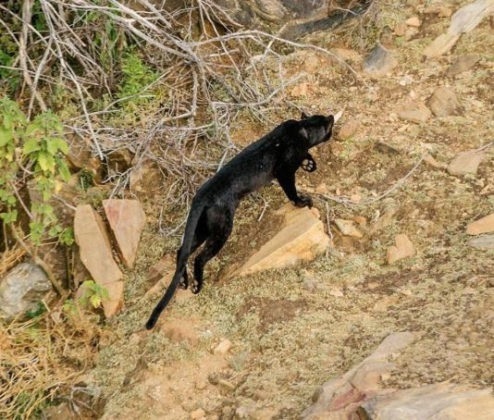 For the first time in 100 years, a Black Panther has been spotted in Africa by Biologists. 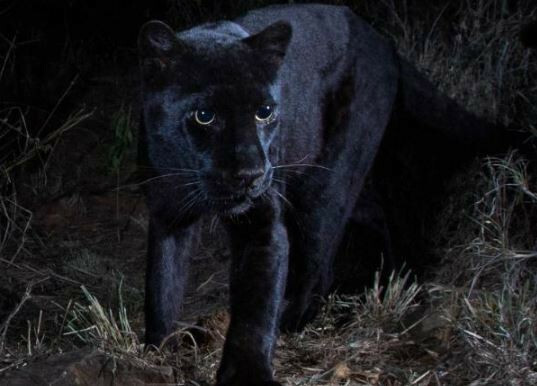 An African black leopard which is also known as ‘Black Panther’ has been spotted in Kenya for the first time in 100 years. 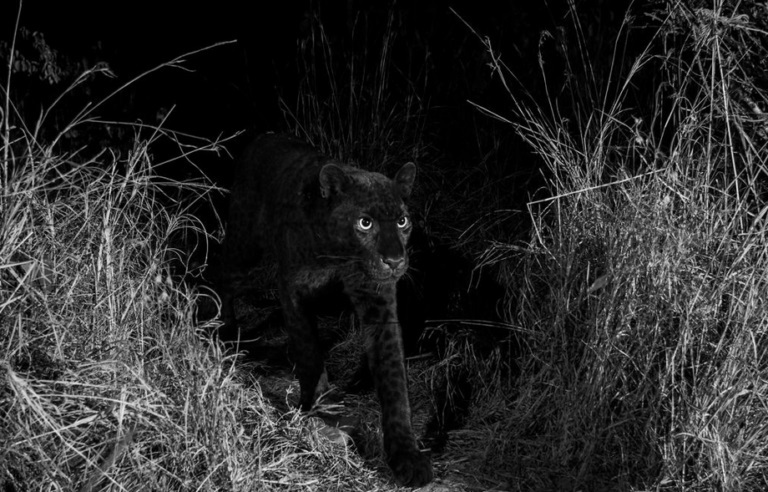 The rare footage was captured by while the big cat was strolling in Kenya, making it the first time the animal has been photographed in Africa since 1909, more than a century ago, in Ethiopia. “We intensified our camera placement in the area the reports were being made. Within a few months, we were rewarded with multiple observations on our cameras” he said. The female leopard’s coat color is pitch black as a result of melanism, a gene mutation that results in an over-production of pigment, Pilfold said. 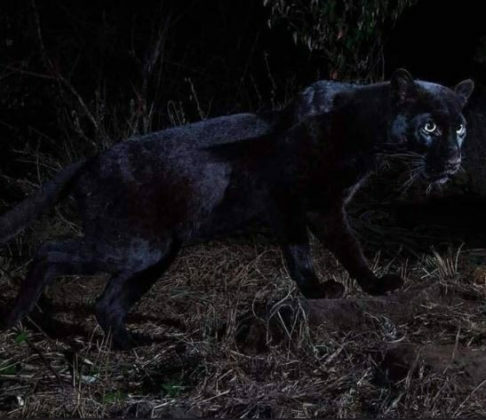 It’s the opposite of albinism — and although the leopard’s coat appears black during the day, its rosette patterns are visible in nighttime infrared imagery.